If you have any questions or want to enquire about dates, use our form to contact the owners of Fontaine RenArt or see their website for more information. 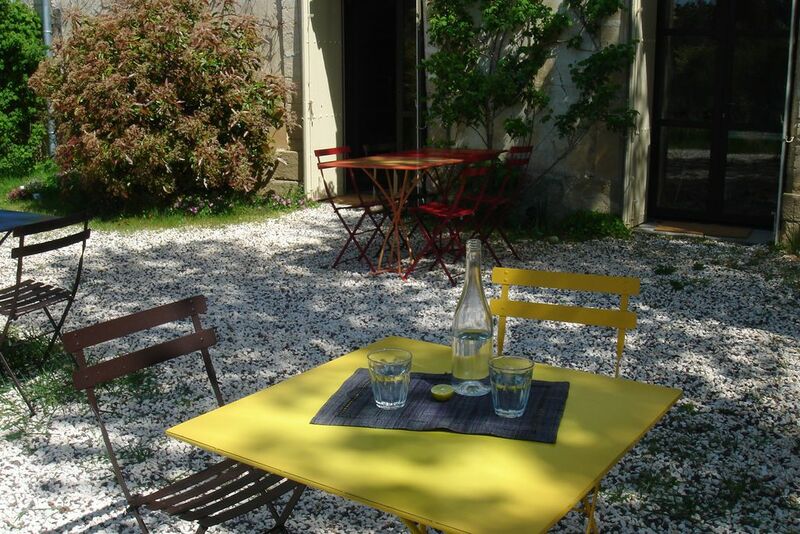 This B&B is in the heart of Saint-Quentin-la Poterie; only a three-minute walk to the village centre. It’s surrounded by a large wild garden with a swimming pool and quirky sculptures by local artists. Michelle and Thierry live in the 17th-century main house, with rooms on the floor above or in the 18th-century annexe across the courtyard. Find spacious sitting areas and books on the bedside tables, as well as a kettle, coffee machine and fridge. Breakfasts of organic cheeses, honey and yogurts from local farms are served at separate tables outside, or inside in the conservatory or next to the fire in the vaulted dining room. Stroll down the road to Restaurant des Potiers for simple, traditional French food or find four other restaurants in the village, as well as a local market on Tuesdays and Fridays. Borrow bikes or kayak on nearby rivers; the charming market town of Uzès is a ten-minute drive away and Avignon and Arles are less than an hour away. Tourist Tax: €0.88 per person per night. 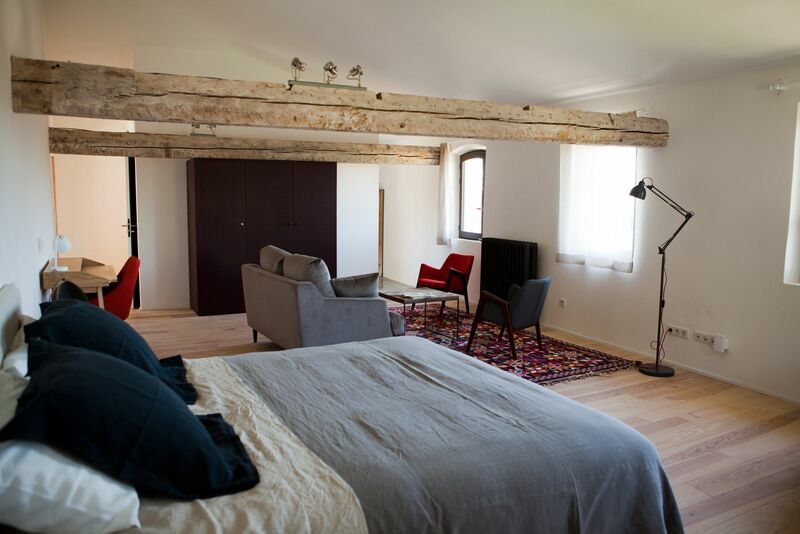 If you're seeking a calm, eco-friendly abode then Fontaine RenArt fits the bill. The five bedrooms are more than generous in size and offer extras such as a kitchen corner and sitting area. A large garden offers private corners to linger in the sunshine and a naturally filtered pool a place to refresh and cool down. You're walking distance to the centre of an artistic, pottery village with galleries and exhibitions, some even on site. There's maybe a chance to join the on site yoga classes. Beautiful house with everything you can possibly need and exquisite furniture. The owners are very sweet and immediately made us feel at home. Also love the fact that everything is organic, from breakfast to soap in the room. You can relax in the garden, take a dip in the pool or simply walk to the local market, explore the ceramic shops and nice restaurants. Can’t think of a better spot for your next holiday in France. The village of Saint-Quentin-la Poterie has more than 20 potteries as well as museums and art galleries, and exhibitions and yoga classes are held in the ground floor room of the annexe. Summer events in the area include organic food and wine festivals, an accordion festival in May and a pottery festival in July. You’re half-an-hour away from Roman monuments in Nîmes – there's even a local bus service for this route. The famous Pont du Gard aqueduct is 10 km away. Uzès, medieval city 5 kms away from Fontaine RenArt with its old castle "Le Duché", the lovely "Place aux herbes" with terrace cafés and surrounding arcades, and its cathedral with the "Fenestrelle" tower. Very busy provencal market twice a week. The city of Nîmes with la "Maison Carré", one of the best preserved Roman temple, its amphitheatre "Les Arènes", and its brand new museum "Musée de la Romanité"
The historic city of Avignon, capital of the papacy 1309 to 1377, is another World Heritage site about 40 minutes driving from Fontaine RenArt. Its well known international festival of theatre take place every year in July. Thierry, Belgian and Michelle, Franco-Swiss met each other while working in Geneva – Thierry with the UN medical department and Michelle was a midwife. 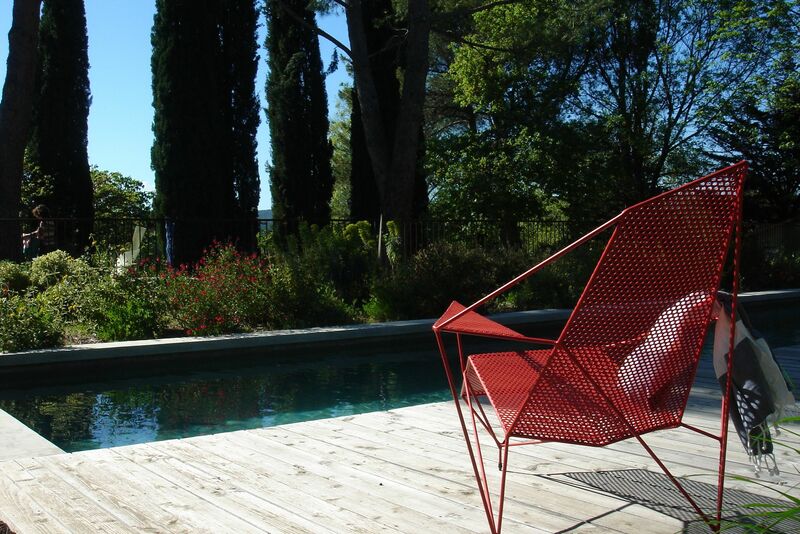 They chose Provence for a better quality of life and the chance to create an eco-haven where they could welcome guests.